Tac-Force - 1 Blade Linerlock w/Belt Clip. 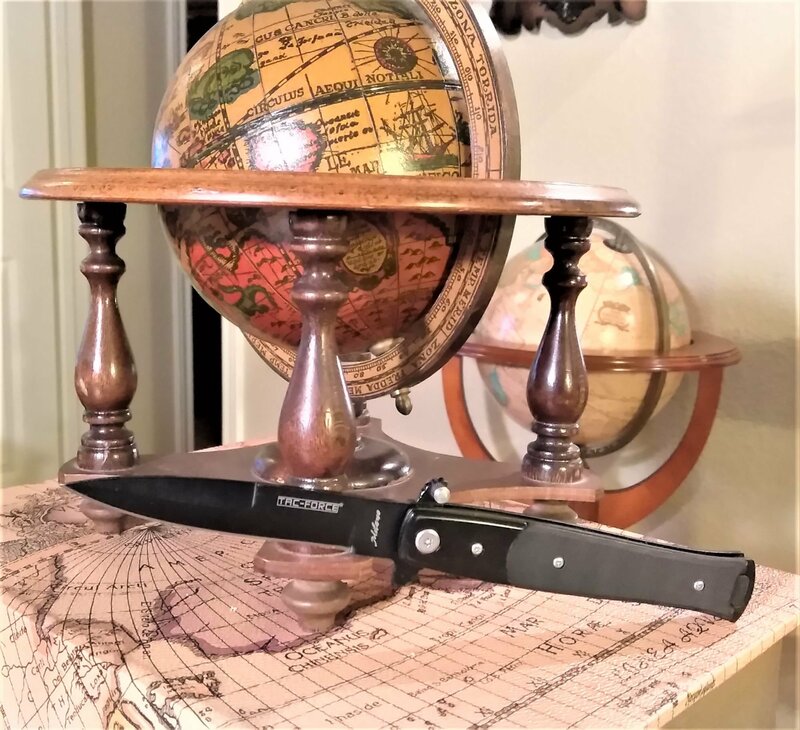 Spring assisted stilletto 3.5" stainless steel blade with black oxide coating. G-10 Handle.